Looking at internet user trends confirms what many of us already know—mobile device usage is growing fast. What we don’t always talk about is that, for the foreseeable future, most internet users are going to be ‘dual citizens’ of the internet, using a combination of their mobile device and desktop or laptop computer to get online. 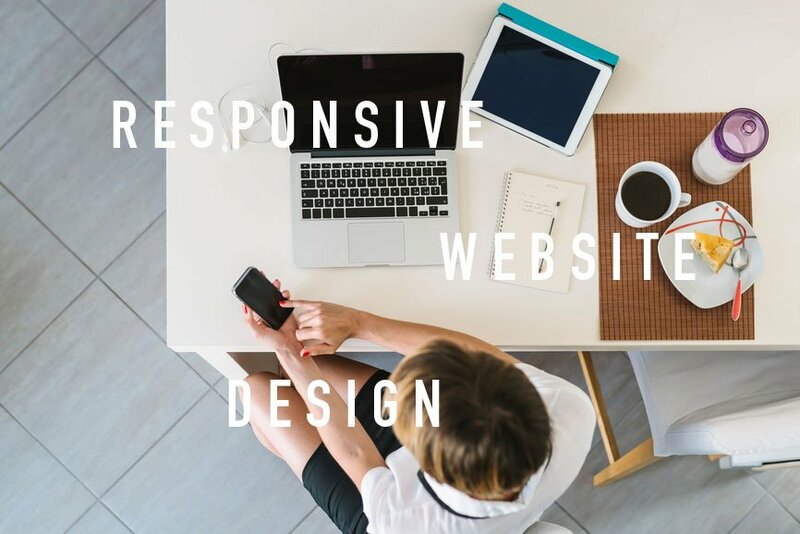 If you have a business and haven’t yet optimized your website to be responsive in order to meet the demands of this growing dual internet user population, here are three smart reasons to help you make an informed decision. According to eMarketer.com, in 2016, nearly 216 million U.S. internet users will access the internet using a combination of their mobile device and their laptop or desktop computer. 31 million will use just their mobile device. Through 2020, fast growth is projected for mobile only internet users, while desktop or laptop only internet users will decrease by almost half. Dual access mobile and desktop internet users will continue to grow but at an increasingly slower pace. Websites that haven’t yet been optimized for mobile are more difficult to use by a large segment of the U.S. online consumer market. With ease-of-use being one of the top priorities for a successful, modern website, an unoptimized, non-responsive website could mean lost opportunities. Businesses that want to make it easy for their prospects and customers to learn more, buy more and visit their websites more would do well to mobile-optimize their website. You can read more about the difference between two popular website optimization strategies in this article Mobile v Responsive Web Design, where I do a side-by-side comparison of the two. With ease-of-use being one of the top priorities for a successful, modern website, an unoptimized, non-responsive website could mean lost opportunities. 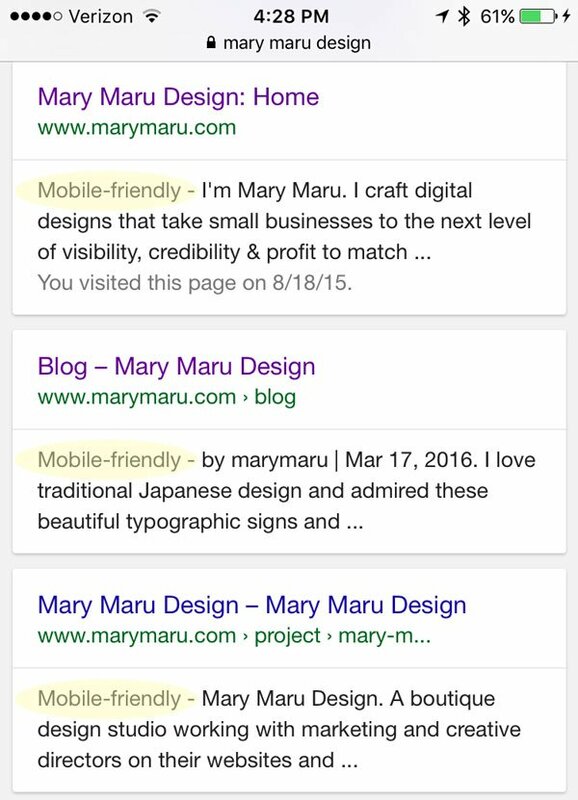 It’s been just over a year now that Google started giving mobile-friendly websites search ranking precedence over websites that aren’t mobile-friendly. What this means is, if your website is responsive or mobile-only, it will be flagged with a ‘mobile-friendly’ label in mobile search results and be listed before similar results that are not eligible to receive the mobile-friendly designation. So even if your product is superior to your competitors and your website is more beautiful to look at than theirs and has better SEO, if your website isn’t responsive or mobile-optimized and your competitor’s website is, their website is going to come up before yours in mobile searches. If you’re not sure your website is mobile-friendly, you can do a quick check with this easy-to-use tool from Google. In another study published by eMarketer.com in late February 2016 and sourced to Yodle and Research Now, 52% of U.S. Small Businesses responding to the survey said that their website is mobile-optimized while 40% said that their website was not. If your business website is already mobile optimized, kudos. Keep up the great work of delivering a better user experience for your website visitors. But if your business website is part of the 40% that’s not yet optimized and you want to learn more about making the switch to a responsive or mobile site, get in touch. I’d love to discuss a web strategy with you.